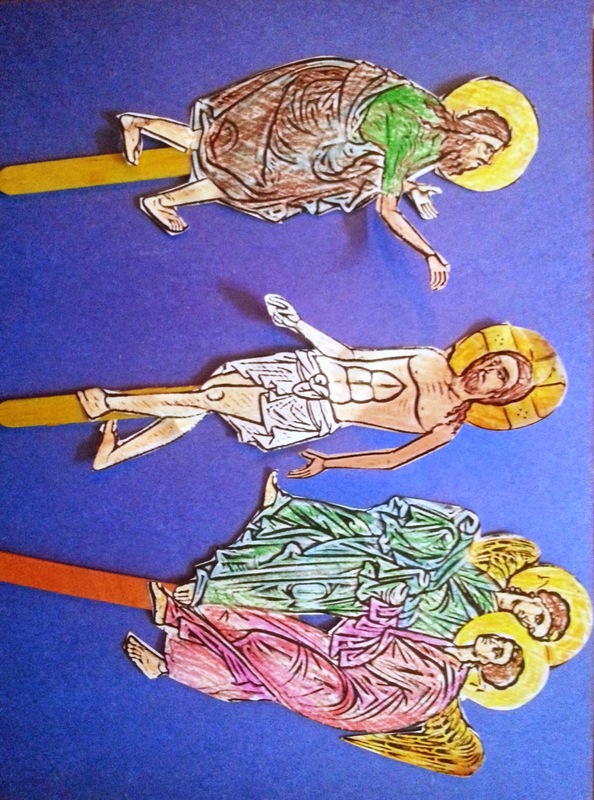 In this feast, we find each person of the Holy Trinity fully present and our God is revealed to us. Can you find the Father, the Son, and the Holy Spirit? (The Father's voice is heard, the Son is seen as perfect man, Jesus Christ, and the Holy Spirit is witnessed as a fluttering light, much like that which resembles a dove) The light has appeared to all men! 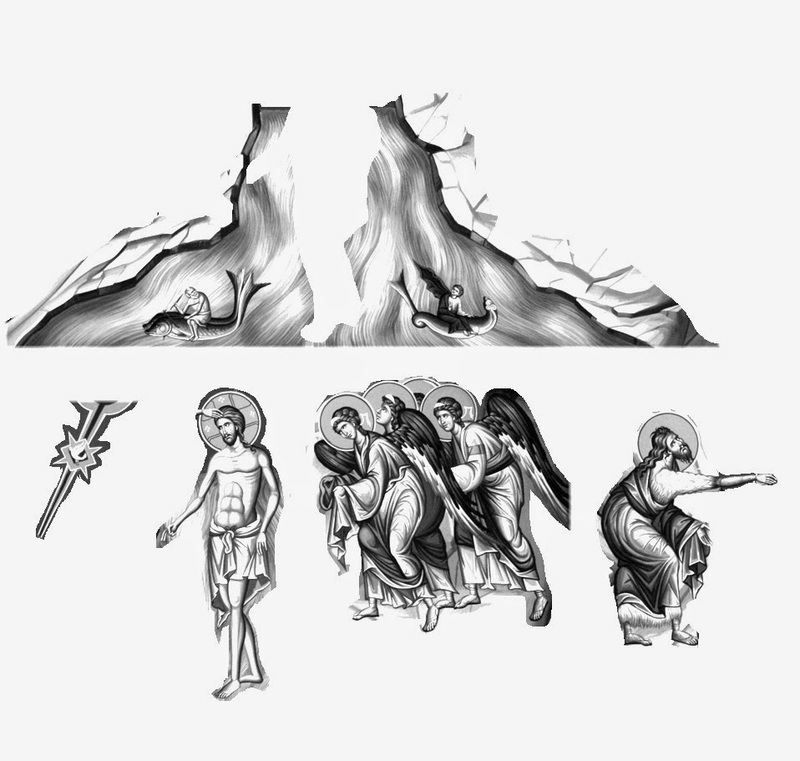 We learn that baptism is not only necessary for the cleansing of our sins, but for the regeneration of our souls and for a life in communion with the fullness of the Holy Trinity. We are sealed with the gift of the Holy Spirit, and clothed in Christ, becoming sons/daughters/heirs to the Kingdom of our Heavenly Father. Why? Remember, we fast because Christ fasted; we are baptized, because Christ was baptized; we confess the "Our Father" prayer because Christ taught us this prayer; word for word. Therefore, we embody the hymn "As many as have been baptized into Christ, have put on Christ, alleluia." "My hope is the Father, my refuge is the Son, my protection is the Holy Spirit, Holy Trinity, glory to be to Thee." 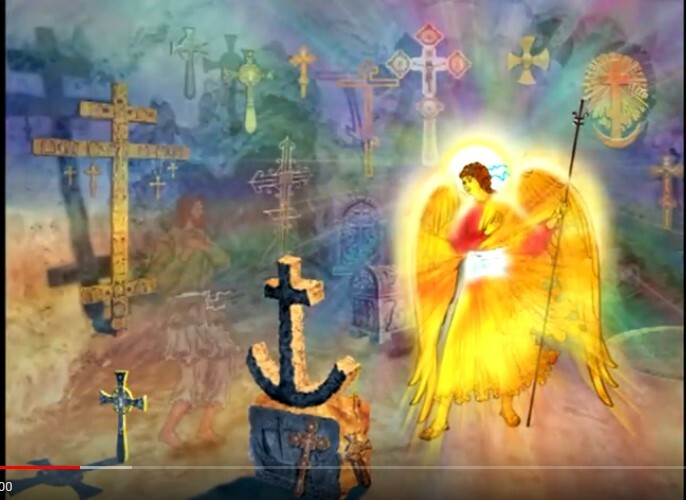 Here is a video showing the miracle that occurs each year at the Jordan River, which begins flowing in an opposite direction from the power of the Holy Cross. "Today the nature of water is sanctified. Jordan is divided in two, and turns back the stream of its waters, beholding the Master being baptized." I really like your blog. We have done this type of activity for Christmas at home with my two boys. Thank you for helping me realize I could use it for other holidays, too! I have a favour to ask. Is it OK if I translate some of your activities for our church's web page? 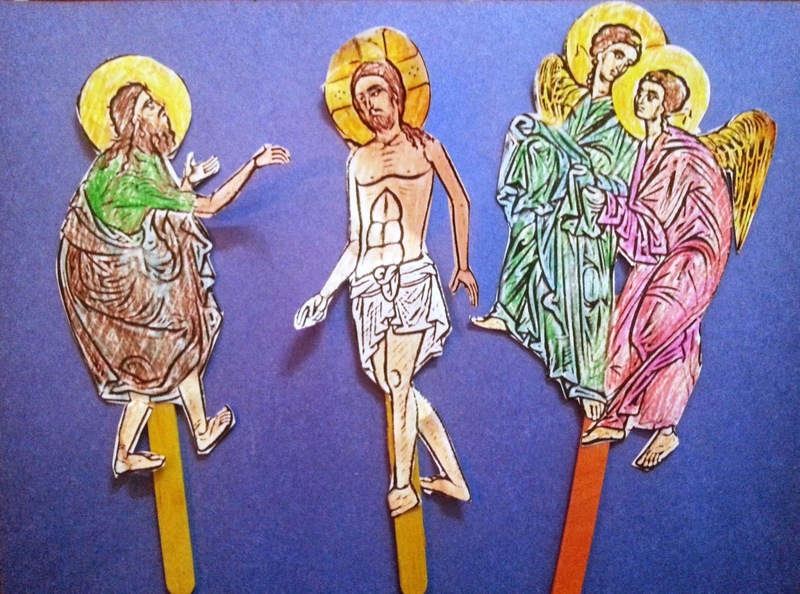 There will be a section, dedicated to teaching children about Orthodoxy. I will make sure I link back to your wonderful blog any time I use your ideas. Of course! We learn that baptism is not only necessary for the cleansing of our sins, but for the regeneration of our souls and for a life in communion with the fullness of the Holy Trinity. May it be blessed by God, Mama Barba! We each do our small part to glorify God. Prayers for you and the faithful people of Bulgaria! Thank you for writing to me.